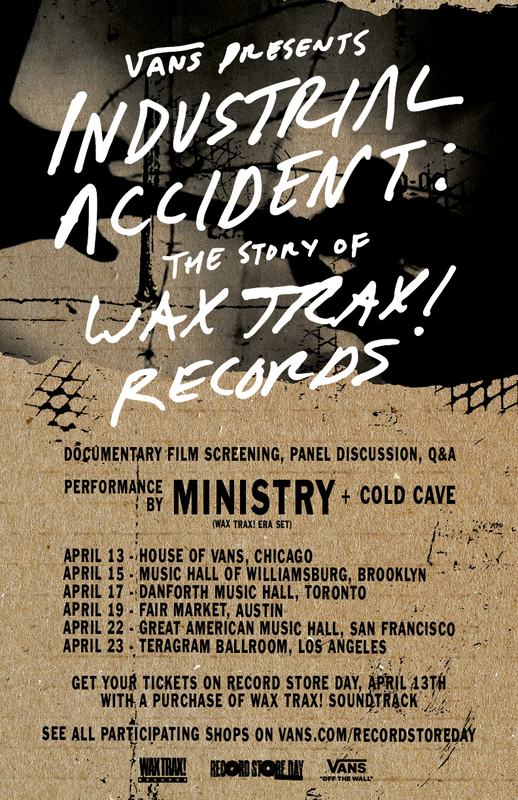 Record Store Day and Vans are teaming up to release a special edition soundtrack for the award-winning music documentary Industrial Accident: The Story of Wax Trax! Records on Record Store Day, April 13, at House of Vans Chicago (113 N. Elizabeth St.). 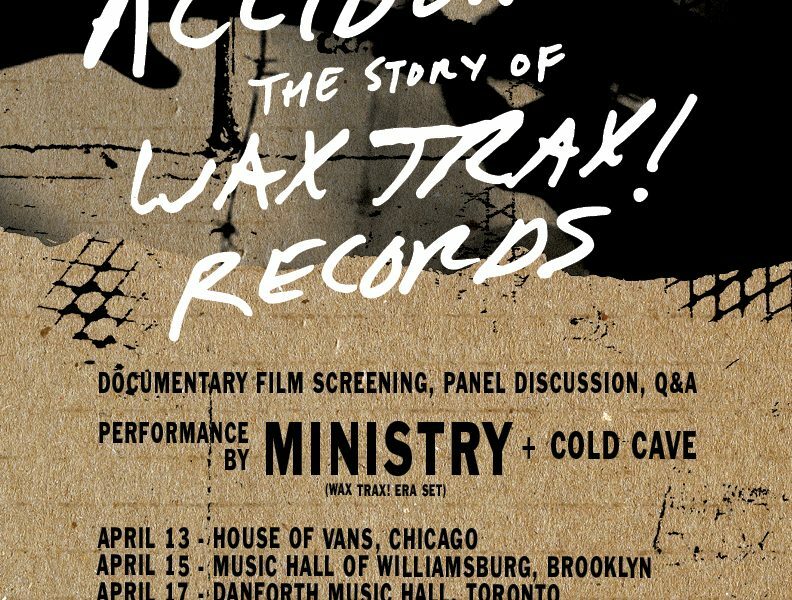 The Chicago event kicks-off the first of six stops featuring screenings of the film, live Q&A, and a performance by industrial rock legends, Ministry performing an early ‘90s era Wax Trax! set. Details here. The album, which features previously unreleased songs by Wax Trax! artists, will be available at independent record stores across the United States.